As we head into spring, it may appear a slightly odd time of year to consider picking up some knitting needles, but Save the Children charity is giving you a very good reason to consider doing so. 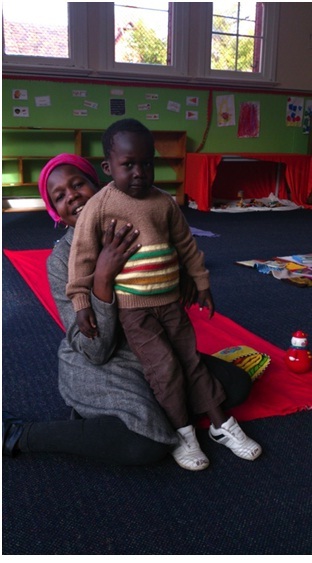 Partnering up with Guardian pharmacies, Save the Children are again organising their “Guardian Angel Knitting Program”, which encourages people of all ages and capabilities to knit garments and blankets to be given to those in need. The Guardian Angel Knitting Program has been operating for fifteen years and, over that time, more than 2 million garments have been knitted to go to projects supporting the world’s poor – many of whom are women and children. Given that approximately 7.6 million deaths of children under the age of 5 are due to pneumonia, the cause is an important one to consider not just during the Australian winter, but throughout the year. Save the Children’s General Manager of Fundraising and Partnerships, Mr Anthony Trainer, is delighted for the charity to be partnered with the Program and says community support has been overwhelming, with approximately 100,000 garments being knitted last year. Whilst the program runs specifically from June to August, Mr Trainor says that people are encouraged to get involved all year round. So if you are feeling inspired by Julia Gillard’s knitted kangaroo, or the latest knitting projects on Pinterest, why not harness your creative juices into supporting a good cause? ‘When people knit something they feel more connected to it and feel like they have done something good. Which they have’, says Mr Trainor. Those who wish to get involved can find more information on the Guardian Angel KnittingProgram here or pick up the guide from Guardian pharmacies. This entry was posted in Get Involved and tagged get involved, save the children. Bookmark the permalink.